AN Irish man has been arrested in connection to the murder of gangland figure Gary Hutch. Arrested by Spanish police in an ongoing clampdown against the Kinahan clan, the unnamed Irishman is said to be in his 30s or 40s and from Dublin. 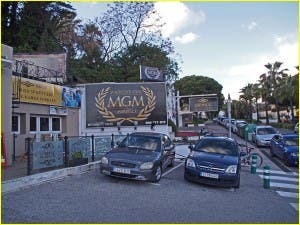 Olive Press sources claim that the man arrested also has connection’s to MGM Marbella, run by gang boss Daniel Kinahan. The nephew of notorious Irish crimelord Gerry ‘the Monk’ Hutch, Gary Hutch was shot dead near his flat in Miraflores, Fuengirola, in September 2015 sparking a gang war between the Hutch and Kinahan gangs. A spokesperson for the Gurdia Civil confirmed that an operation into the Kinahan’s is currently ongoing but could not comment further. It comes just days after the arrest of key Kinahan figure Fat Freddie Thompson who was arrested in Ireland over the murder of David Douglas in July. Top Kinahan lieutenant Graham ‘The Wig’ Whelan has also been picked up by police in Ireland for driving without a licence.